Food for thought, there’s something wonderful about the combination of the colours blue and yellow, something that may work wonders in nature, but look appalling in fashion. The purity of these colours together have quite the enchanting effect on us Cairenes. Every year, we yearn for summer time, ignoring the hot weather, inconvenience, and horrid smells that come with it, for we know we’ll spend a few days or weeks at the beautiful North Coast. If you’re one of the rare few that are not bewildered by the intriguing vista of the North Coast, perhaps you need to go to The Beach. 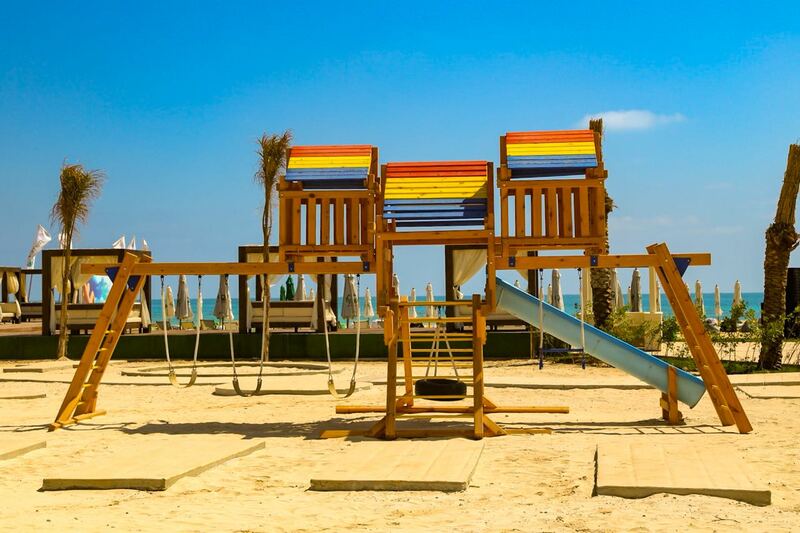 Before you get all smart on us, we’re talking about THE Beach, a new beach experience located in the New Alamein City that is set to give you all possible senses of nostalgia. The New Alamein City is 50,000-acre city that is designed to accommodate over 3 million inhabitants in just the first phase. Yup, we’re not talking about a new compound here, this is an urban city that includes a summer resort, and housing units for all-year round living. Imagine that, waking up to the beach breeze every day of your life. But let us get back to the main attraction, The Beach. Forget what you know about trending Sahel spots, this is quite different. 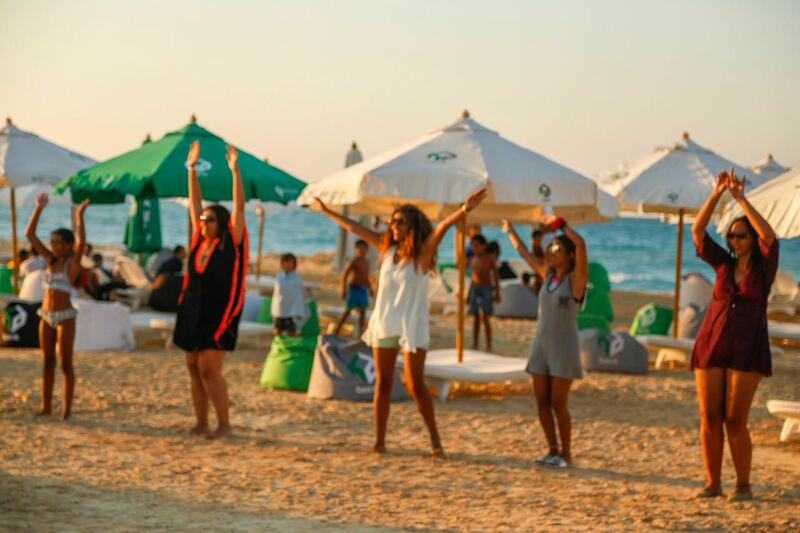 The Beach is set to bring the family-friendly beach experience back, located midway between Sidi Abdel Rahman and Al Alamein. What kind of fun you ask? Well, relaxation is the first priority. 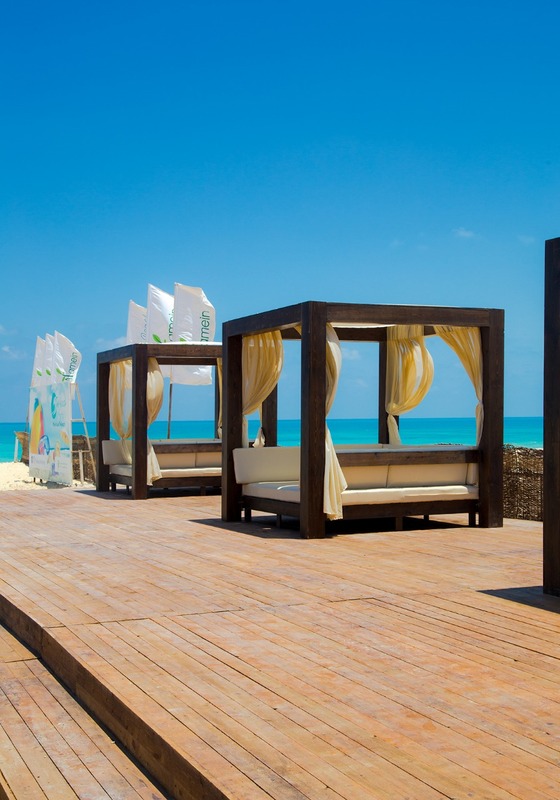 They invite you to chill at their comfortable loungers and colourful bean bags right on the hot, yellow sand. But if you’re looking for more convenience, there are shaded loungers where you don’t have to get sand in between your toes, but still gaze at the wonderful sea view. Don’t forget to bring your kids, because this is a beach for the whole family. The Beach’s kids’ activity area has tons of slides, a climbing wall, and other activities where your kids can put all their energy into having a good time. They’re even bringing in Fagnoon in the summer so your kids can learn to make crafts by the beach, or enjoy a good old beachside water fight courtesy of Adrenalin Egypt. You can also bring out your inner child and join in with the fun! The Beach is 100% pet-friendly, so you can bring along your little animal friend to see the beach and get a little exercise on the sand. And speaking of exercise, you can hit The Beach for their morning activities with FitSpark and Transforma, so you can take advantage of the sea’s calming environment in upping your fitness game. There are tons of food options to choose from too. You can munch on some healthy snacks, or counter all the exercising you did with delicious comfort food. Have your pick from The Butcher, Juice Box, and more. So how can you get your hands on all this amazing family beach fun? If you’re looking to try it out, you can purchase an individual ticket for 150 EGP, get a family entry ticket for 300 EGP, or even a family seasonal pass for 2500 EGP. And, if you are planning a more adult friendly trip, well let’s just say that the entertainment schedule includes none other than belly dancer Maya El Maghraby and DJ Kiro. The Beach is brought to us by HD Bank. They’re currently entering a number of projects that directly aim to better the life of Egyptians and bring them closer to the brand through wholesome fun. The Housing & Development Bank has seen huge development during the last ten years, putting it as one of the pioneering banks, and among the best five banks in the performance indicators. The Beach strives to be an accessible and safe option for family fun by the sea, something that has been immensely lacking in new North Coast developments. So sharpen your sandcastle building skills, dust off your beach toys, and bring along your kids for a beach experience that is fun for all members of the family, including your pets. We can’t wait to #SeaYouAtTheBeach.